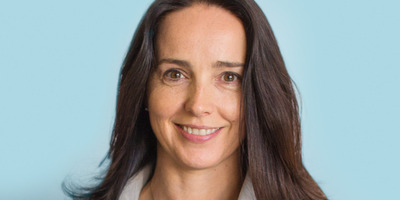 SquareSquare CFO Sarah Friar will leave the company in December. Square’s CFO, Sarah Friar, is leaving the company to join Nextdoor as CEO. Friar first joined Square in 2012 and led the company through its 2015 IPO. Her decision left CEO Jack Dorsey both happy and sad, he said in a heartfelt memo shared on Twitter – adding that he always thought they’d run Square together into their late 90s. The stock went down over 9% in after-hours trading. Square Chief Financial Officer Sarah Friar is leaving the $US32 billion payments company to take a new role leading neighbourhood social network Nextdoor as CEO. Friar, who first joined Square in 2012, led the company through its initial public offering in 2015. She’ll stay at the company through December. Wall Street seems to have taken notice of Friar’s departure, as stock in Square dipped over 9% in after-hours trading at the time of publication. Jack Dorsey, CEO of both Square and Twitter, didn’t take Friar’s departure lightly, either. In a memo shared with staff on Wednesday and posted on Twitter, Dorsey said he was “unrealistically expecting to be working with Sarah well into our late 90s (swapping the standup tables for rocking chairs,” but he added that becoming a CEO was a lifelong ambition for Friar. “My happiness that she’s finally fulfilling that outweighs my sadness of her departing,” he wrote in the memo.